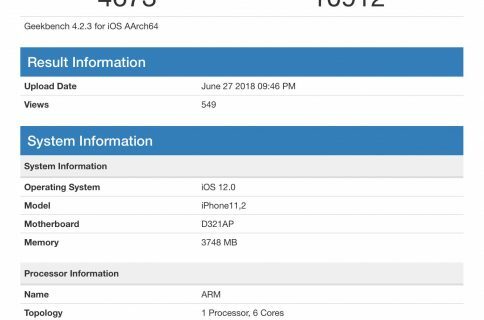 New tidbits continue to trickle out from the iOS 11 GM code leaked Friday by a suspected Apple employee, including fresh information regarding the 2017 iPhones RAM situation. 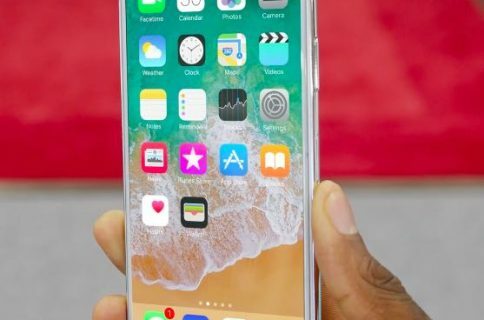 iOS developer and, as of late, investigative journalist Steve Troughton-Smith has been able to ascertain that Apple’s flagship iPhone X and the 5.5-inch iPhone 8 Plus models would come outfitted with three gigabytes of RAM. As for the smaller 4.7-inch iPhone 8 model, it will pack in two gigabytes of RAM, just like iPhone 7, he added last evening. 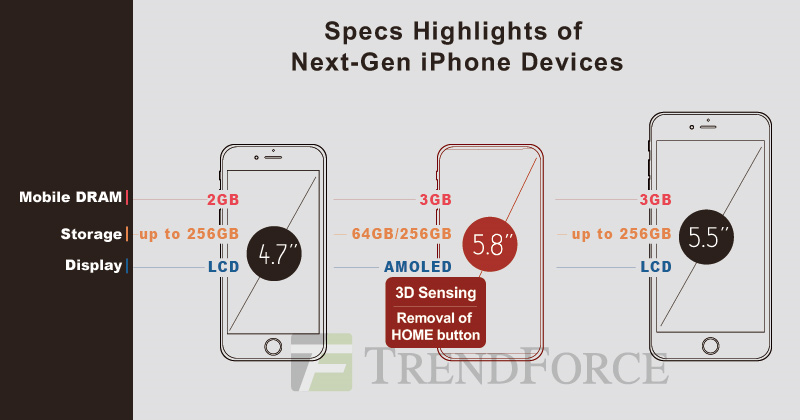 That’s in line with predictions from KGI Securities analyst Ming-Chi Kuo who in February said he expected both a flagship OLED iPhone model and a refreshed edition of the 5.5-inch iPhone 7 Plus to come outfitted with three gigabytes of RAM. 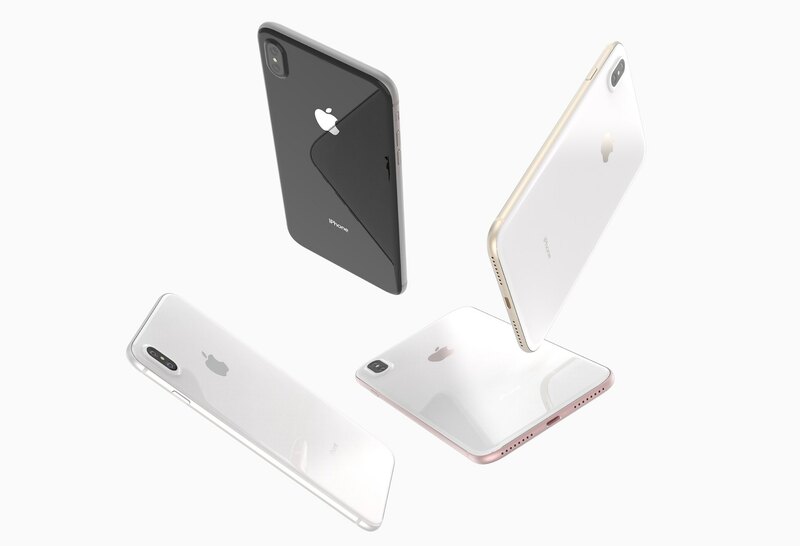 The analyst added that the DRAM transfer speed in 2017 iPhones would get speedier by ten to fifteen percent versus the iPhone 7 series for better augmented reality performance. Like with the current iPhone 7 phones, the added RAM in the iPhone 8 Plus and iPhone X models is required to process data from its dual-camera system. As the regular iPhone 8 model is expected to have one camera out the back, it won’t need extra RAM. While some people have been clamoring for more RAM in iOS devices, that’s not really necessary given that iOS is a highly efficient and optimized mobile operating system that runs more smoothly, especially when used for days or weeks without rebooting, than any other Android handset with six gigabytes of RAM. This isn’t to say that extra RAM isn’t beneficial in terms of multitasking (like being able to switch between multiple tabs in Safari without reloading) because it is. That said, the average user is mostly unable to discern any visible difference in terms of iOS smoothness between, say, the 2GB iPhone 7 model and its 3GB iPhone 7 Plus counterpart. It’s also important to note that increasing the RAM puts an additional burden on the battery. Notably, both the 10.5-inch iPad Pro and the 12.9-inch iPad Pro come outfitted with four gigabytes of RAM due to their higher-resolution displays and rich multitasking features.